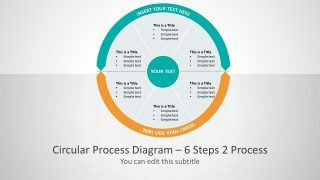 The Six Segments Circular Two Process PowerPoint Diagram is a business template to present useful concepts. This diagram layout design demonstrates two main factors and their three subprocesses. The cyclic flow of segments displays relationship of two components as two semi-circles. Hence, by joining them, presenter creates a perfect circle i.e. a complete system. 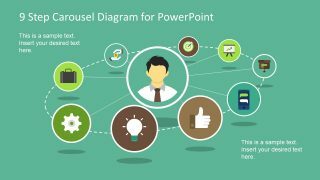 The circular diagram PowerPoint contains 2 slides with slightly different background designs. 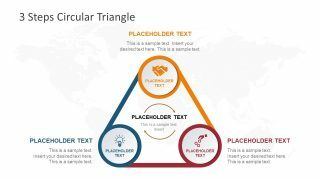 The pie shape diagram provides text placeholders for all 6 segments and circle as a core unit in the middle. 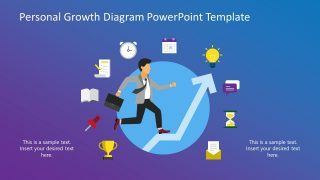 The six segments PowerPoint diagram is a simple and neat layout to demonstrate management and consulting models. Such as finances, change management and potential risks involved, or innovative business concepts. 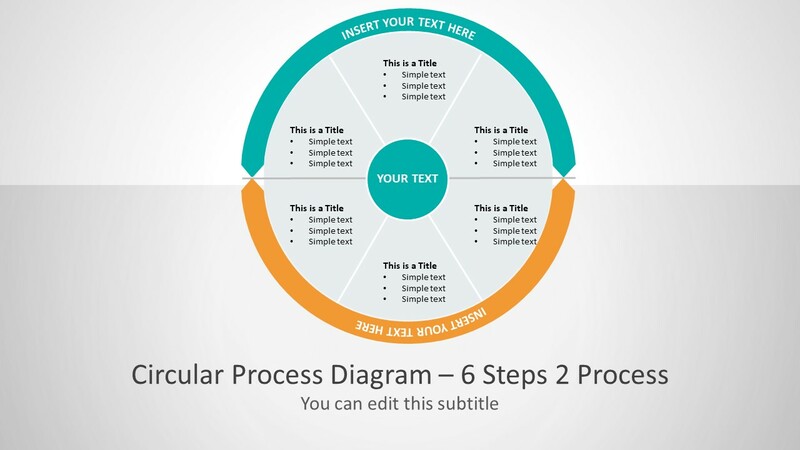 The Six Segments Circular Two Process PowerPoint Diagram is also an editable template. Therefore, users can customize the backgrounds by adding pattern or high-definition image. To do so, simply go to the design menu and open background format. It will open a menu on right panel on PowerPoint with range of editing options. The users can enter keywords and notes as bullet points in the text placeholders. And, highlight the agenda in center of circular process flow diagram. The PowerPoint of six segments in a two-process diagram can also show the comparison of two components. Or, recurring two-way activities like income-expense, supply-demand, product/service delivery-feedback etc. 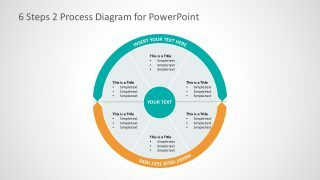 The two-way arrow diagram design of six segments circular two process PowerPoint illustrate the communication on both ends. The arrow pointers of both semi-circle curves depict the one-on-one communication. 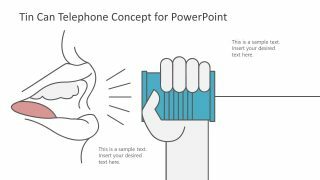 Furthermore, the two process PowerPoint diagram is suitable for demonstrating two ways transaction like income and spending. Especially a circular flow of income in an economy as a whole.